Otto Klemperer was very much a man of the theatre. “Here, opera and drama were truly united,” he said of his time at Berlin’s Kroll Theatre, a progressive and influential force in the heady years of the Weimar Republic. 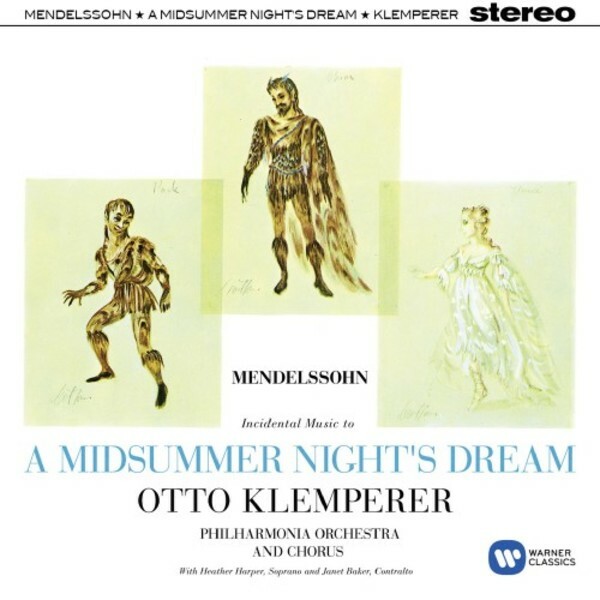 He was also a man with a sharp sense of humour: this performance of Mendelssohn’s incidental music to Shakespeare’s A Midsummer Night’s Dream both glows with enchantment and sparkles with wit. Recorded in 1960. This version contains the new 24-BIT digital remastering used for the Japanese SACD-hybrid version.